Group B rally car for the street! Well technically the Integrale was built for Group A regulations in 1979 but expanded under the rules allowed for Group B in 1982 when the FIA wanted rally cars with fewer restrictions on technology and design. They also dropped the minimum number of car required for homologation down to 200(from 5,000 in the previous group A). Weight was kept as low as possible and there were no restrictions on boost, resulting in power output in excess of 500 by 1986, the final year of Group B. 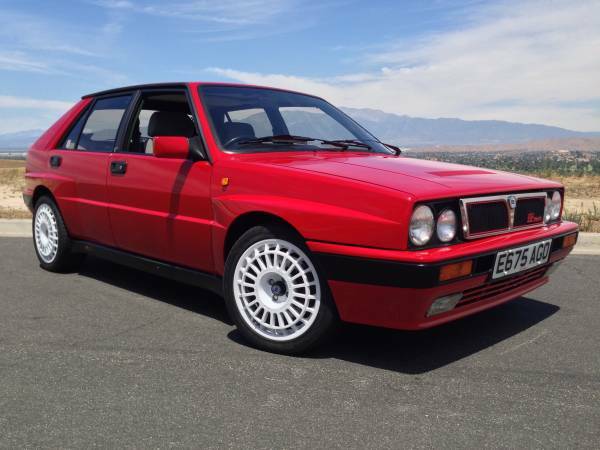 The road going Integrale was still very different than the group B race version but a very cool car anyway. And this one is for sale on Craig’s List in California for $18,500. 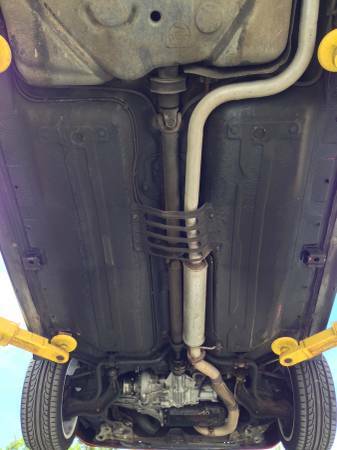 The entire ad is below in case anyone is curious about it after it sells. 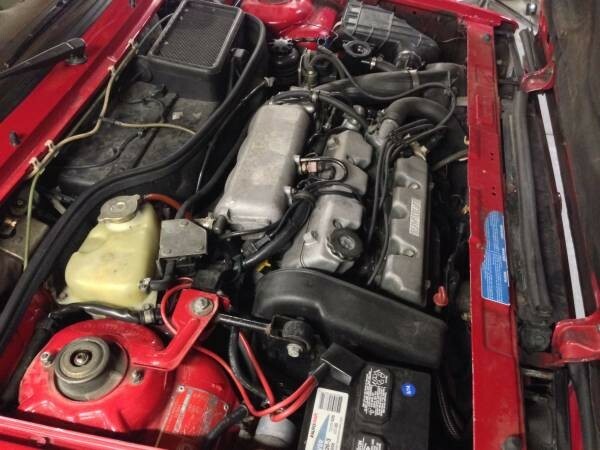 The car looks pretty clean for a nearly 30 year old car. Even the engine still looks nice. 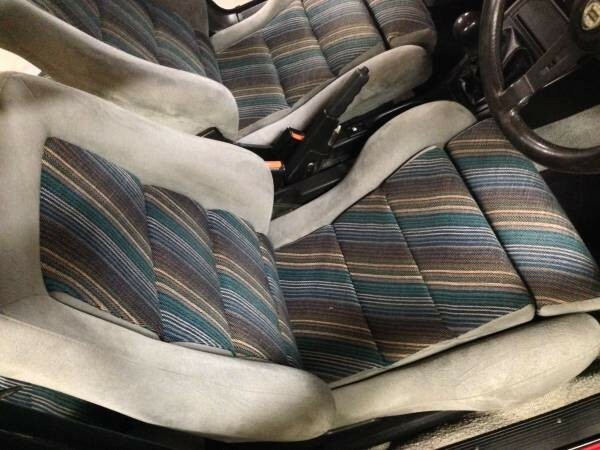 The interior is surprisingly nice as well and you have to love the cool seats that manufacture’s used in the 1980’s. If you want to see this car in person, it will be at the Big SoCal Euro event on Sept. 6th in San Diego. Guaranteed to be even more impressive in person than in the pictures. I’m an enlisted member of the US Air Force and I bought this car while stationed overseas in the UK. I left the UK in 2013 and imported it to the US with all the official paperwork. 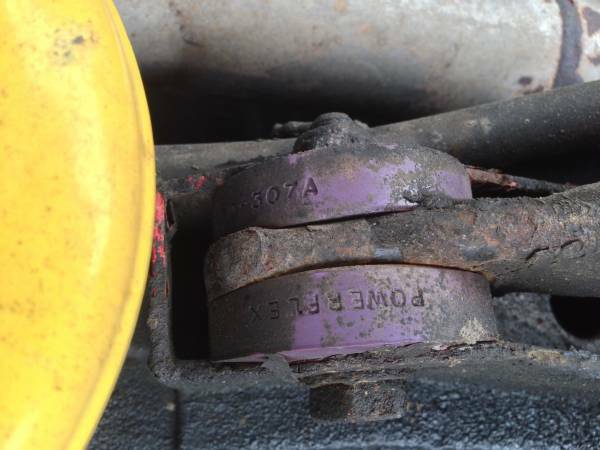 The car was put into professional storage by the government from July 2013 to October 2014. It was kept under cover indoors and all the fluids and battery were checked once a month, plus it was started, ran up to temperature and moved so not to cause flat spots on the tires. The car now resides in Riverside, California where it is kept under cover in a garage and only comes out for shows. It is titled & registered in my home state of Florida. 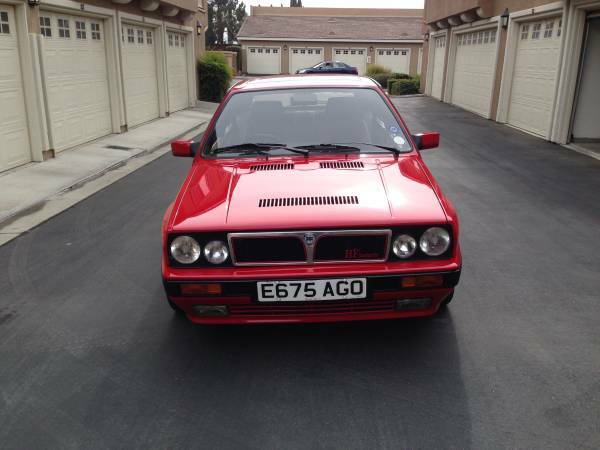 This Integrale is in EXCELLENT condition!! It runs extremely well and will cruise down the freeway just like any modern car. 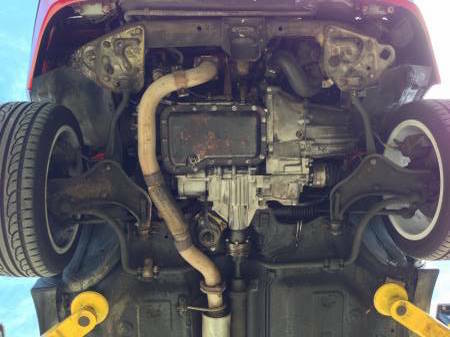 I had the cam belt & head gasket changed, plus a major service done before it left the UK in 2013 and it has gone less than a thousand miles since then. One of the most impressive things about this car are the two massive 3in. binders of service history and receipts. 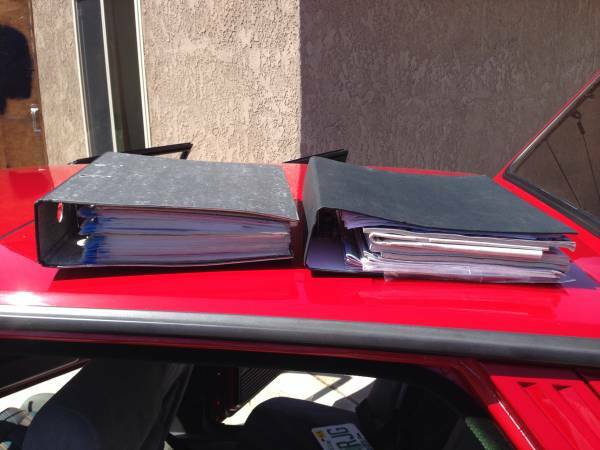 Every piece of paper that has ever had anything to do with this car has been saved and cataloged in these binders. One of the only cons of this car is that the odometer seems to have died sometime around 2003 according to the service history receipts. 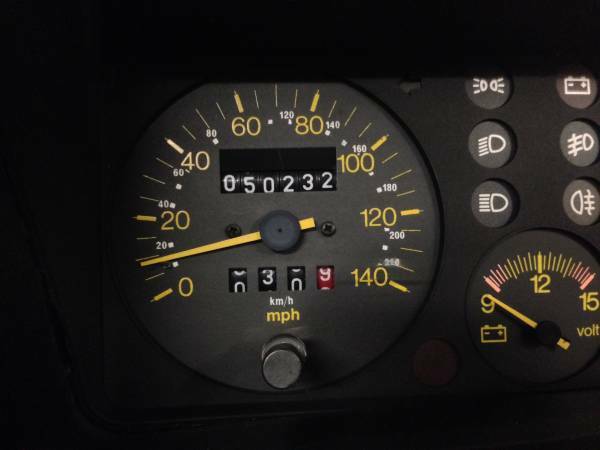 Although, included in the paperwork is one previous owners mileage log after the odometer died placing the actual mileage on this vehicle around 70k miles. I bought this car on good faith that the mileage was low due to the fastidious service history and excellent condition of the car. The car is very original with only a few modifications being: lowering springs, front & rear polyurethane suspension bushings and Evolution style 17″ Compomotive wheels. 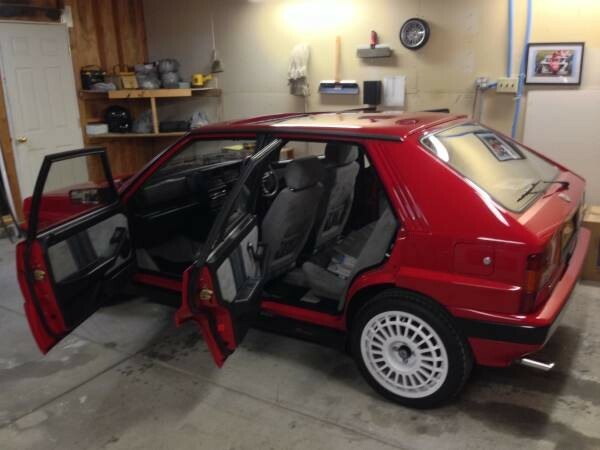 Also, the car had a professional respray done a few years ago in the original Monza Red color. The paint is brilliant and in excellent condition. These cars are APPRECIATING in value!! You WILL NOT lose money if you buy this car and take good care of it. I honestly believe it’s worth more than $18,500 but I am willing to accept reasonable offers. I WANT to sell this car now but I do not NEED to sell it so NO LOW BALLERS!! I guarantee if you have any doubts about the condition of this car, they will vanish once you see and drive it in person. These cars are pretty rare. If you want one have $18,500 around give the guy a call.